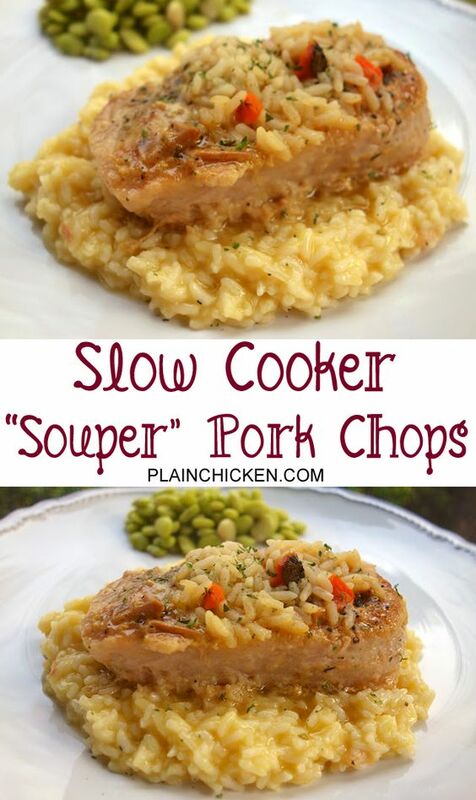 Slow Cooker Souper Pork Chops - boneless pork chops slow cooked in dry mustard, salt, pepper, garlic powder and chicken and rice soup - serve over additional rice. Kids gobble this up! Super easy and super delicious! I love my slow cooker, especially in the summer. It gets so hot outside that the last thing I want to do is turn on the oven and make it even hotter inside! I've seen these pork chops on pinterest and allrecipes. com I wasn't too sure about them because it uses a can of Chicken and Rice soup. I wasn't sure how that would taste with the pork chops. Well, it was great. To save time in the morning, I browned the pork chops the night before and assembled everything in the slow cooker before I left for work. Super easy! The pork chops were super tender and flavorful. I served the pork chops over a little more rice to complete the meal. 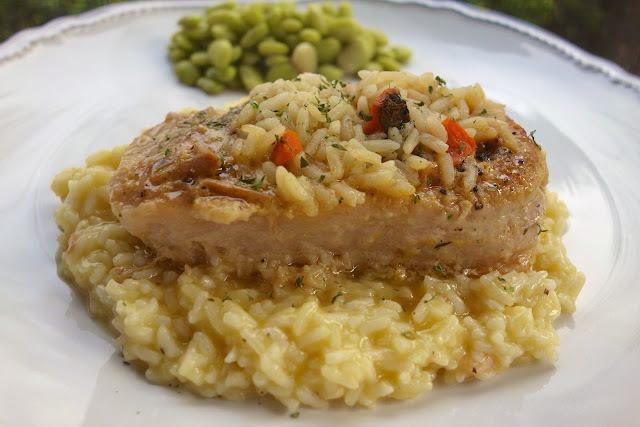 Place browned pork chops into slow cooker. Pour the chicken and rice soup over them. Cook on low 6 hours. Serve with additional rice if desired. Looking forward to making this. I love your site! So many delicious recipes. What if you wanted to put the rice in the crock pot with the pork? Do you think that would work with maybe an extra can of chicken and rice soup? Alicia - that might work! Let us know how it turns out! Looks delicious. If extra rice is made separately with which to serve the chops, is there enough "sauce" from the crock pot to use on the extra rice? Thanks! Owl Tree - I thought there was enough sauce, but you can always use 2 cans of chicken and rice soup if you want lots. Enjoy! I've made this recipe for years.It was a favorite of my children. At the end I take the chops out and add instant rice (I use brown). I've never measured the rice, just put in what looks right and let it cook about 10-15 minutes until soft. These sound so easy and absolutely delicious! I made these today -- delicious! 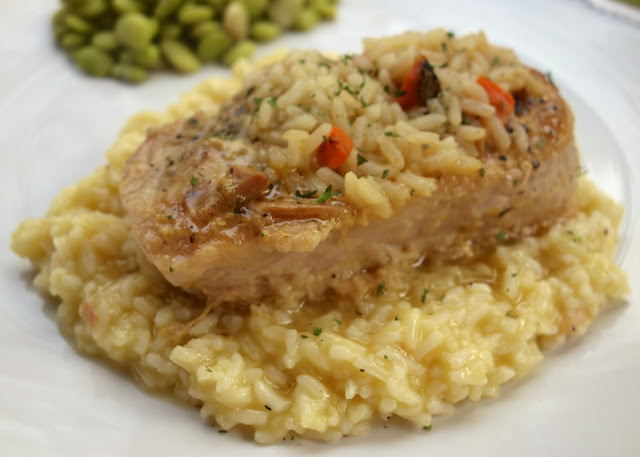 Made this recipe last night, and this was hands down the BEST pork chop recipe!!! The meat was so incredibly tender that you didn't even need a knife to cut it! Can't wait for leftovers tonight. I just got these going in the CP a few minutes ago. Later this afternoon they will be ready.